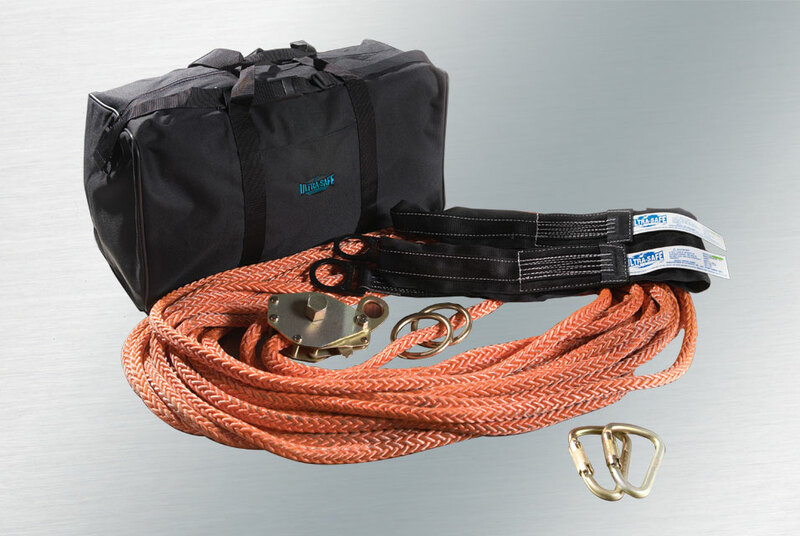 Introducing Ultra-Safe’s new two personnel synthetic horizontal system.This kit is available in 60 and 100 foot lengths. It is extremely easy to use, portable, and economically priced. It comes with all the components listed below including storage bag. 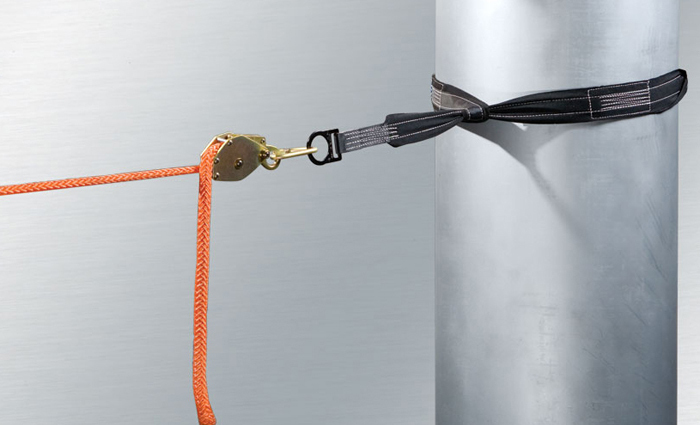 Designed for the concrete and steel industry. 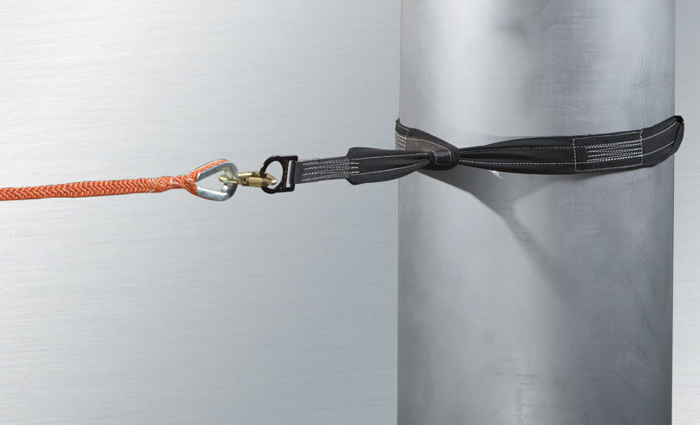 The crossed arm end straps can be substituted upon request for wire rope cross arm slings for use on termination points with sharp edges.